If you’re like us, you’ve been salivating over all of the fresh greener gadgets presented at last week’s Consumer Electronics Show in Las Vegas. It wasn’t easy, but we managed to narrow down the list to our five favorite gizmos unveiled at the show. From fun new approaches to portable power generation to ultra-efficient displays and sleek eco laptops, check out the full list after the jump! 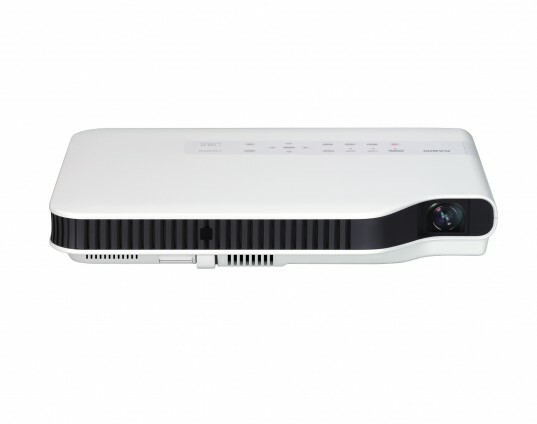 Environmentally conscious movie lovers, rejoice: Casio has unveiled the world’s first mercury-free line of projectors. Dubbed the “Green Slim” line, the 9 new projectors show images at up to 3,000 lumens using a hybrid LED and laser system. That’s significantly brighter than today’s projectors, which beam 2,000 lumens. Casio also claims that the projectors’ brightness deteriorates slower than in mercury-filled projectors. Stay tuned for pricing details. Want to pretend you’re in a sci-fi movie? The Waveface Ultra can help. 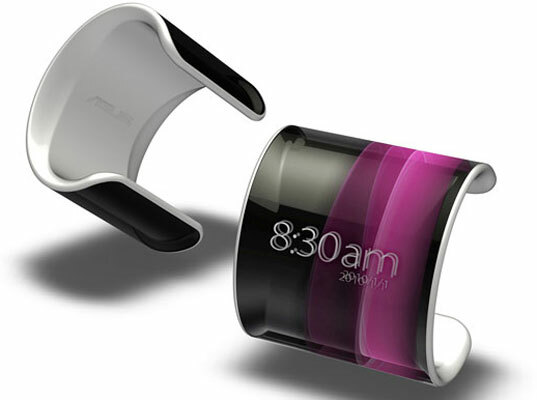 Asus’ conceptual OLED wristband doubles as a piece of jewelry and an ultra high-tech smartphone. No word on a release date, but information junkies are sure to be waiting with baited breath. 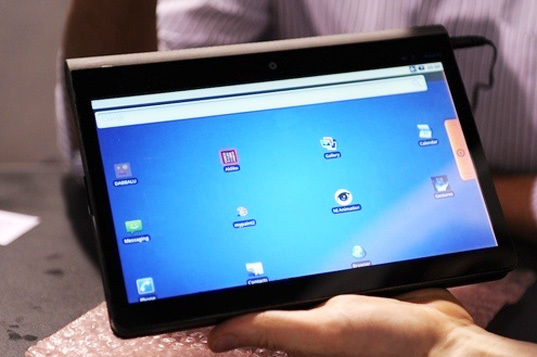 We first saw Pixel Qi‘s remarkable energy-efficient displays in the OLPC laptop, and we’re thrilled to see them unveil their latest work: a full-color LCD that doubles as an E-Ink quality display for reading in light. With so many tablet pcs on the horizon, expect to see multitasking super-efficient displays such as this everywhere in the near future. 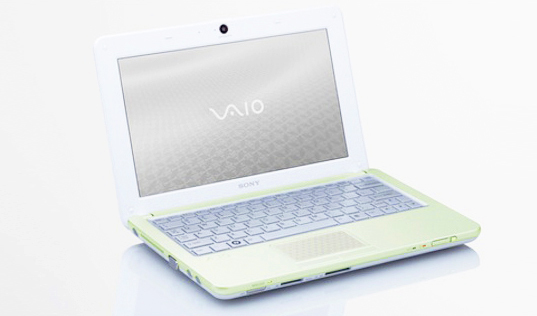 The Sony Vaio W series “Eco Edition” mini laptop comes in a green-tinted plastic enclosure made from 23% recycled CDs and has a carrying case made from recycled plastic bottles. The device is energy efficient too, with RoHS, Energy Star 5.0, and EPEAT certification. Sony’s latest offering also has a high-definition, 10.1 inch LED screen, 250 gigabytes of hard drive storage, and up to seven hours of battery life. At just $450, it’s a reasonably-priced offering for anyone that needs a second computer for simple tasks. Need we go on? Handheld emergency chargers are nothing new, but the YoGen makes electricity generation extra easy. Users simply pull on the string to generate a 5 watt charge. No matter how hard you pull, the same charge is generated. And since the YoGen generates the same charge as a plug-in charger, it’s easy to keep track of how much power is being produced — one minute of pulling generates the same amount of power as one minute using a wall charger, and so on. The charger sells for $39.99 in the YoGen online store. YOGEN HANDHELD CHARGER this is a new asto jax product? If you're like us, you've been salivating over all of the fresh greener gadgets presented at last week's Consumer Electronics Show in Las Vegas. It wasn't easy, but we managed to narrow down the list to our five favorite gizmos unveiled at the show. From fun new approaches to portable power generation to ultra-efficient displays and sleek eco laptops, check out the full list after the jump!